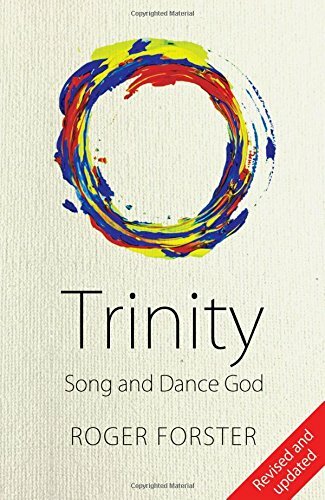 In 'Trinity - Song and Dance God', Roger Forster explores the powerful dynamism of the Trinity in his creative and incisive examination of our three-parts God. Vital for individual understanding and for explaining Christianity to others, this is a must-read for Christians of any age. 'A treasure chest of theological gems, polished by Roger and rearranged in dazzling settings of his own. For Christians who struggle with the doctrine of the Trinity as some kind of unsolvable mathematical conundrum, Roger breaks throught his impasse by showing us that the Trinity is more like a community of love, where the unbroken relationships of Father, Son and Holy Spirit exist in an eternal divine dance. Trinity by Roger Forster was published by PUSH Publishing in August 2015 and is our 28787th best seller. The ISBN for Trinity is 9780992773595. Be the first to review Trinity! Got a question? No problem! Just click here to ask us about Trinity.